Creative solutions for where you live, work, and play. Welcome to The Murphy Wall Bed Store. Get inspired by our on-line gallery and arrange a home consultation. Since 1991, we've been building cabinetry in our own Ottawa based workshop. 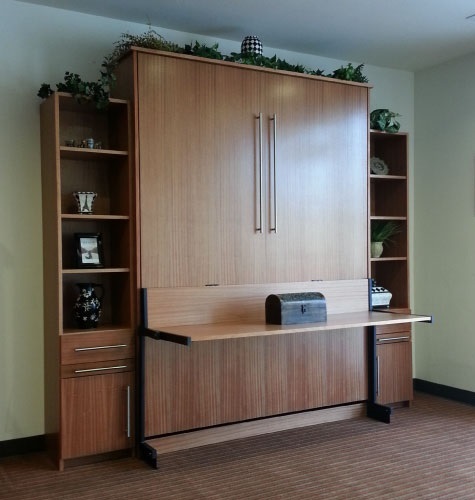 ​Although we are Murphy bed specialists, we go beyond the guest room to provide a wide range of custom cabinetry, furniture, and decor for all areas of the home. From design, build, and installation, The Murphy Wall Bed Store is ready to make your space great. Copywright (c) 2016 The Murphy Wall Bed Store. All rights reserved.